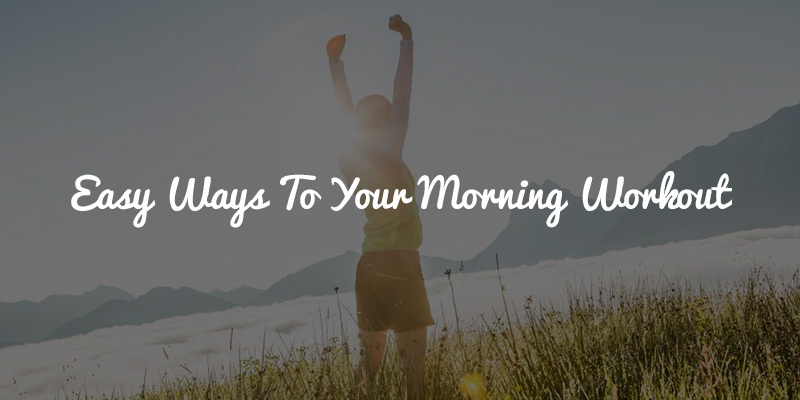 If only a few people have the habit of waking up early, a fewer have workout as a part of their morning routine. But getting up and moving is actually the most effective way to start your day ! Your body will be thankful for this routine. If the facts haven’t given you enough motivation to try the morning workout, try these ways to push yourself into the routine. The bright light on your face would leave you feeling energised and alert. You might want to position your bed facing east and leave the curtains off when you sleep. Keeping your workout clothes ready, iPod charged and shoes by the door will only speed you on your way. When everything would be ready, you would be more motivated to make it to the gym! With a nutrition full breakfast waiting on the table after the sweat, there would be something you will look forward to when you are back, and moreover, you would not want to skip having your breakfast in a hurry to make to your office in time. Before you plan to rise and shine, make sure you have had enough sleep. On an average, 7-8 hours of sleep is important for your body to be able to support you in your decisions. And before you give in to your sleep, make sure you shut off all your devices and lower your room temperature for a sound sleep. Planning out workout sessions with a buddy might just make them easier. When you know you have somebody waiting, you would feel more enthusiastic about having to meet the person and your workout together. Workout partners can actually help you stay committed to fitness and have fun. When you have your gym somewhere around the corner, you would see yourself making less excuses of not making it to your workout. If a nearby gym is not an option, running outside or indulging in a morning yoga session might do you good. Make use of fitpass which can connect you to the gyms near your home and office. With your alarm handy, it’s difficult to wake up right away. Most of the times you would find yourself hitting the snooze button and getting off to sleep. True, the noise is quite infernal right at that time, but keeping it away from the bed would make sure you actually have to get up to turn it off. The feel-good emotions after your workout are really worth the pain. Do not forget how your mood would be uplifted and how active you will feel after a morning gym workout session!